International Artist Category - Birds. 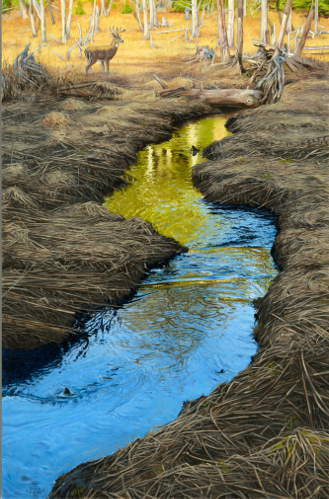 The judges said This painting stood out in a competition category because of its lovely composition, exquisite detail and excellent depiction of light. 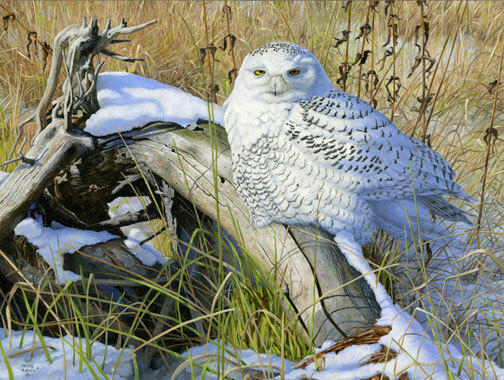 Upon graduating with honors from School of Visual Arts, David pursued a career as a wildlife illustrator. He has been published in numerous outdoor magazines including Sports Afield and Field and Stream. 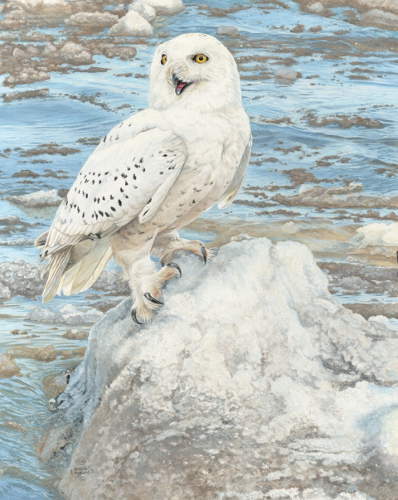 As an Art Director for Danbury Mint his expertise in wildlife and art was a perfect fit. He now is a full time fine artist living outside of the Cooperstown area. Scenes of the past remind us that we were not the first to walk here. Scattered around our property lie 150-year-old foundations that have slowly been reclaimed by nature. 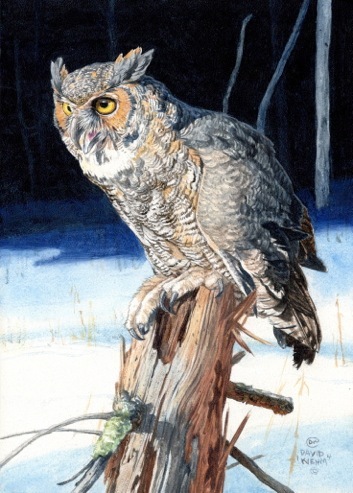 Our resident great-horned owl favors this particular homestead and its long-forgotten orchards. In this painting, I attempted to capture the essence of this magnificent hunter perched on its preferred lookout, surrounded by the fortress-like foundation walls. Said David regarding his winning painting Foundation Wall. 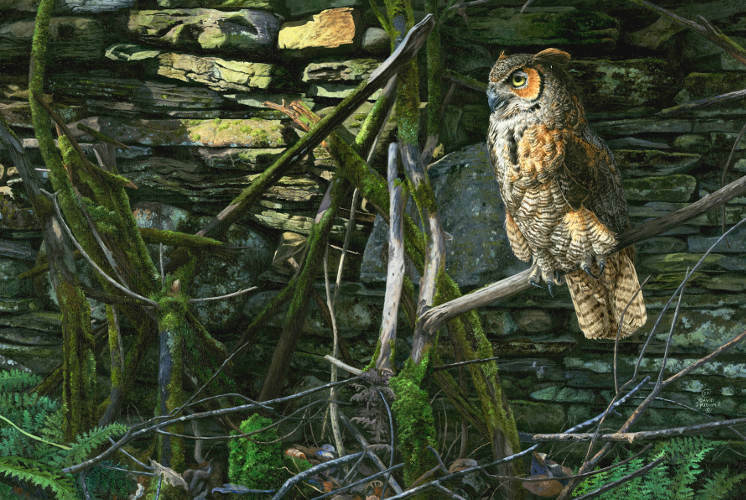 Davids winning painting Foundation Wall will be showcased at Europes largest annual wildlife art exhibition Marwell International Wildlife Art Society held in the United Kingdom. 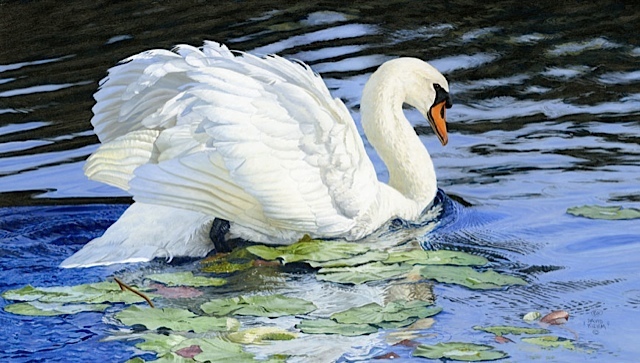 Daves painting is featured in the September 2013 issue of BBCs Wildlife magazine and on their website www.discoverwildlife.com.